This 1.25 oz. 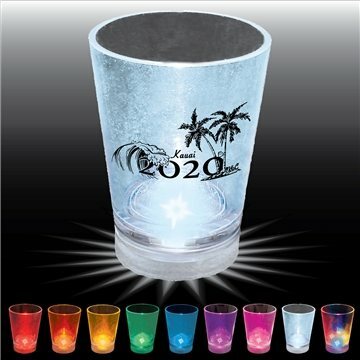 shot glass lights up with the push of a button. The price was really where I needed to be. I can't say there was anything I liked least. We've sent these products to our patrons with our other gifts. It was quite beautiful when we received our order. We like the ultimate product! Worked very well for the price! this is my second year ordering from your company and I must say it's always a good experience.